This magnificent par-71 course has garnered many honors. 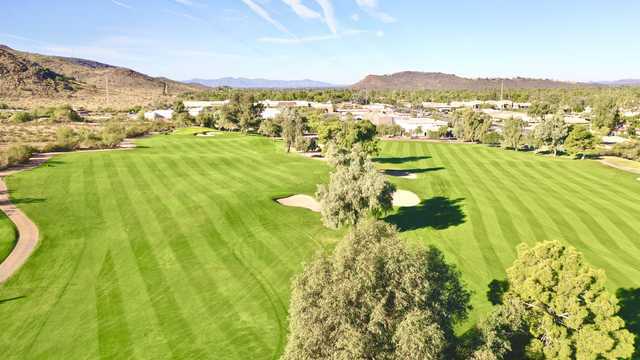 Golf Digest named it one of the 450 best public courses in the country and Lookout Mountain has been consistently voted one of the top 25 golf courses in the state of Arizona. Our course has also hosted celebrity events such as the Arizona Baseball Charities Classic and the Phoenix Suns Scramble. Pointe Hilton Resorts at Tapatio Cliffs and Squaw Peak are world-class destinations with a unique family atmosphere. Surrounded by expansive mountain views, golf courses and laced with blooming floral gardens and waterfalls, the Pointe Hilton Resorts offer all guests a relaxing and enjoyable stay. Collectively, the two Pointe Hilton Resorts offer 1,148 suites, eight restaurants and more than 100,000 square feet of meeting space.